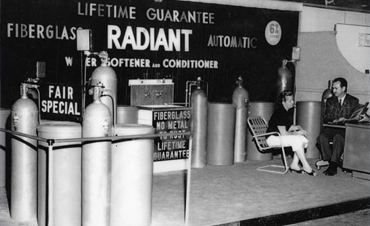 The Radiant Water Softener Company was founded in 1947 by Waldo Radiant Masters. After selling his restaurant in Ohio, he settled in Southern California with the intention of remaining in the restaurant business. Masters was astonished at the difference between Ohio's soft water, which kept dishes spotless, glassware sparkling, and coffee tasting the best, and California's hard water. 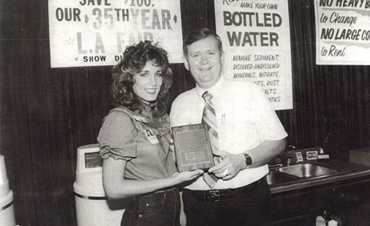 Then Masters met Jerry Roper, owner of Roper Water Softener Company in Downy, CA. 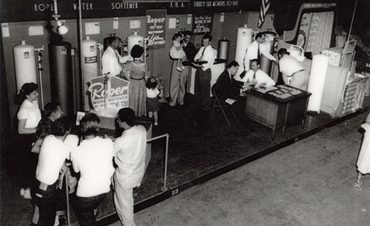 After seeing how Roper's Water Softener Systems improved cleanliness and customer satisfaction and cut the cost for restaurants, hospitals, and homeowners, Masters decided to open his own water softener business. 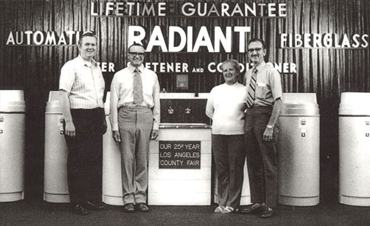 Masters steered the Radiant Water Softener Company to success, and after 26 years turned the helm over to his son and daughter-in-law, Jerry & Jackie Masters. 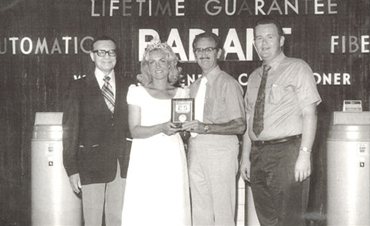 For the next 35 years Jerry & Jackie stayed true to the course set up by Waldo Radiant Masters: Improving lives by providing quality water softening and filtration systems and delivering legendary service to businesses and consumers. In 2007 Jerry decided to step away from day-to-day operations of Radiant Water so that he could do what he loved best: Introduce friends and homeowners to Radiant Water Filtration Systems. Now in 2010 new management, Pat's Water, Inc. has come on board to carry on the Radiant tradition of quality and service while also aiming to make Radiant a household name. The result--we are continuing to exceed customers' expectations as we grow. At times, consumer satisfaction exceeds even our expectations. Radiant Water Whole House Water Systems last so long we might not hear from customers for 40 years. In March, 2008, we received a call for service from a customer whom we could not find in our database. As it turns out, this customer purchased a Radiant Water System in 1964 and had never needed to contact us since! Taking great pride in our customers' continued satisfaction, we were happy to respond to the same commitment to quality, value, integrity, and service that has served our customers so well. We appreciated hearing from another customer 4 years after her purchase of a Radiant Water System: "We're still loving it! Now, a couple of friends want a system for their house." Referrals from satisfied customers mean a lot to us, so you can trust us to treat your referrals as valued clients from the start. 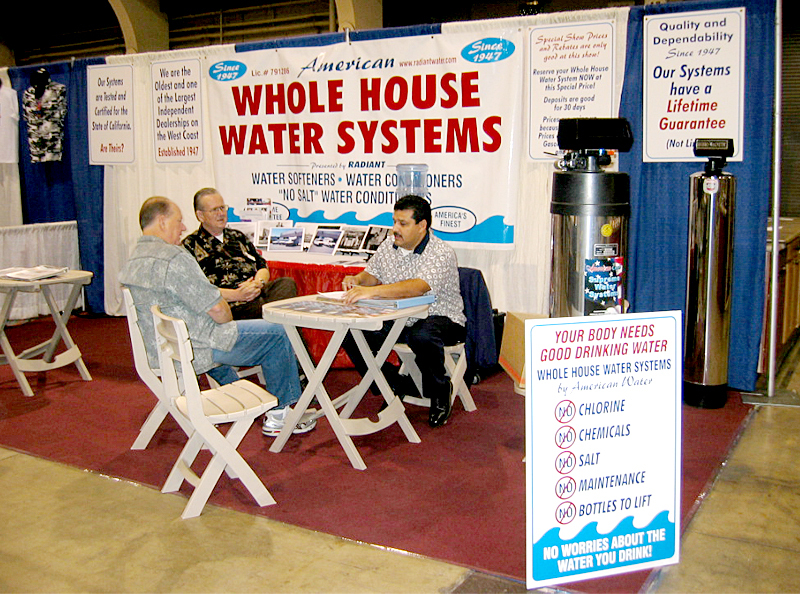 With more than 60 years of experience in designing and servicing water conditioning systems, we are confident that you will be completely satisfied with your Radiant Water purchase. Our promise to you is that we'll be there for you today, tomorrow, and for years to come.